I was fascinated with the recent Ryder Cup. Watched way too much of it and lost a lot of sleep. But it was worth it – the last day was incredible and it might just be the best golf event staged. In fact, from the opening tee shot on Friday it was a must watch event for any serious golf fan. The performances, the atmosphere and the cliffhanger result were a promoter’s dream. I’m sure the USA are still trying to work out how they lost. To be honest they didn’t do too much wrong. They played great (especially the first two days) but when things counted, Europe were just too good. There’s a fine line between winning and losing. I think that the real reasons are beyond our understanding – and maybe we will never know why things happen. There’s also luck involved, a bounce here and there can have a huge say in the outcome. When it comes to luck you have to believe that it will even out – any other attitude will drive you straight to the nuthouse. While it’s certain that we’ll never appreciate the pressure of the Ryder Cup, we can learn from what transpired. Here’s my between the lines look at the Ryder Cup and what you can learn from it. I’m calling it The Zen of Golf because I’m not sure how else to describe the ability to play sublimely when the pressure is on and you have an millions watching you. This seems obvious but from experience many struggle to do it. Our minds are loose and they wander off on all sorts of tangents. These are just some of the kind of thoughts that we choose to focus on. A better approach is to ask yourself, “what do I want to do?”. This is the heart of positive thinking and gets your mind back on the job. You’re forced to choose an option and this gives your subconscious a clear plan. It’s being clear on your intention that helps you ignore the bad stuff and allows the ball to find the target more of the tome. This is related to #1. When the pressure is on it’s all too easy to get caught in the moment and get ahead of yourself. You start thinking about how many strokes your handicap will come down and you have the victory speech written. We all know what happens from here. Playing yesterday with the biz partner I saw this first hand. He got off to a flyer, making pars and birdies on the front nine. He was on record pace and looking good (he was beating the pants off me!). But things changed. He got tight. He started missing shots. He worried about the pace of play. He started thinking too much and got away from a carefree attitude than worked so well early (by the way, on the front nine there was lots of chatting about business. This stopped on the back nine). The bad golf was enough to snap him out of the “stinking thinking” and he played the last 4 holes well. He managed a decent score but it could have been so much better if he hadn’t gotten ahead of himself. How do you stay in the moment? Here’s a zen like approach to get you sorted. Not sure where I first read this, but I have seen it a few times and it works a treat. It will take some discipline (you have to remember to do it) as it’s easy to forget. Your answer needs to be NOW. Now is in the moment. You’re HERE. Here is in the moment. You’re not on the previous green or on the victory dais. You’re here and now. Perfectly in the moment. No matter the pressure the game doesn’t change. A 3 footer on the last green for the win is still a three-footer. It’s still golf. And your ability to accept this will have a huge bearing on your ability to play your best golf. Being careful and swinging “correctly” in the heat of battle rarely works. You get stiff, look awkward and almost always stuff up. You need to play freely and swing/chip/putt like you know you’re going to be successful. Following the advice from above helps, but you’re still going to need a fair injection of courage. It takes some guts to step up to the ball and strike it without fear of the possible consequences. This is playing the game in its purest form. It allows your real talent to appear and minimises the chances of a poor result. That’s not to say you still won’t hit the odd bad shot, you only reduce the chances. But you’re able to accept any result and move on to the next. You’re continually in the moment and playing the game. It’s Zen Golf. So just maybe the European’s did this a little better. We’ll probably never know for sure but they certainly were able to bring their best golf to the course on Sunday afternoon. What are your thoughts? Why do you think Europe were able to beat the USA? On the first two days I think the golf was generally about the same except they (USA)seemed to putt better and on the final day things reversed and we know what added pressure can do.Totally agree with NOW golf because it is the only time you can influence the situation. Momentum shifted the Europeans way and Severiano’s spirit moved them in a way that gave them belief, a few speeches from Olly would have been the back bone, you could see they all wanted to please him!. I also think U.S.A got ahead of them selves for a moment “it’s in the bag’ type mentality. A better ability to stick to their routines perhaps? At the end of the day I find the routines (both physical and mental) are what keep me in the moment. The European Team had nothing to lose. They had no worries and there was essentially nothing on the line for them. They were not expected to win from such a deficit and thus they were able to play freely. 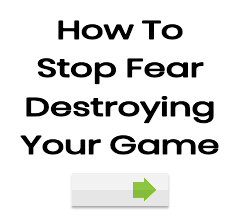 There was no “fear” in each of their games. No fear of losing or making mistakes because they were so far down going into the singles matches. It seemed like they just continued to play the game and they looked like they were having a lot of fun whilst doing it. As a sidenote I wanted to point out Rory’s performance in the singles. Not only did he arrive only ten minutes before his tee time, but he beat the best US player of the week, in Keegan Bradley. Rory also made a few interesting comments after his round regarding his late arrival. Most notably was his reference to the fact that range sessions before a round are simply a “warm-up” exercise and that “spending 40 minutes on the range before a round is unusual for him anyway”. I also really liked how the commentators and interviewers were trying to make such a big deal about his late arrival. Rory on the other hand treated it with candor. He was almost smirking when answering questions, suggesting that he realises its just a game and it need not be so serious. Things happen, but at the end of the day, Rory just goes and plays golf like he does every other day…and nothing changes that. It is just a game and he plays to have fun!! Timbo: there is so much one could say about Rory. He is definitely a “player”. He does things his way and certainly gets on with it. He handles defeat well and when he’s on he bloody knows how to win. There was a lot of BS about his late start and no doubt he left it a bit late – but most of it is media hype, story hunting. I’ve never been a fan of long warmups as it’s likely you’ll start working technique, getting tired and worrying about the round ahead. Also, it’s not like golfers are getting smashed by opponents or running at full speed. A bit of stretching, some swings and most of us a ready to go in a few minutes.